In the past, I defined home cooked meals as simple and delicious meals that one can find and enjoy at home. There’s something comforting about eating home cooked meals. This is why a lot of restaurants offer these meals – to give people a chance to enjoy these meals away from their home. 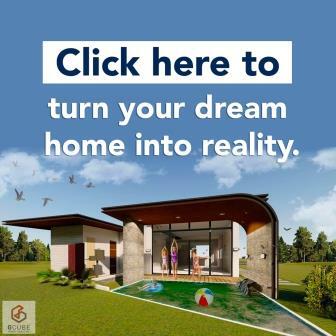 It’s simple and offers no-frills satisfaction. 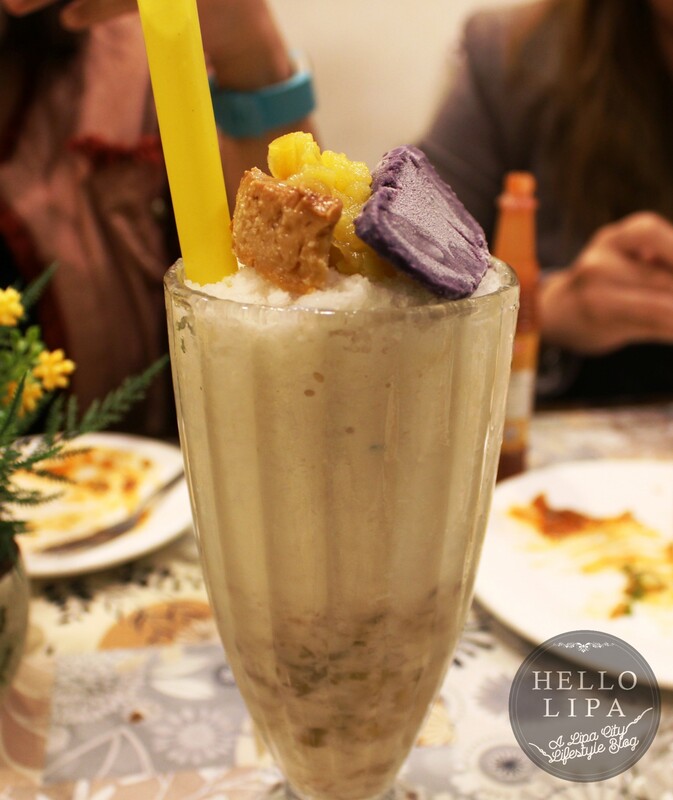 The Hello Lipa team recently had a chance to try the home cooked meals offered by Le Manays. As soon as I saw their menu, I realized that they’re not offering simple home cooked meals. 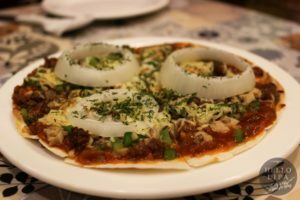 From the names of their dishes to how they put ingredients together, it was quite obvious that these are not the dishes that your mom used to make at home. And as soon as I took my first bite, my definition of home cooked meals changed. These meals don’t have to be simple. Le Manays proved that home cooked meals can still be delicious, even if they’re packaged to be more complicated and even quirky. 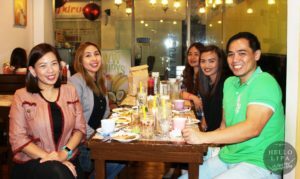 We were invited to try Le Manays by one of the owners, Grace Cerillo. 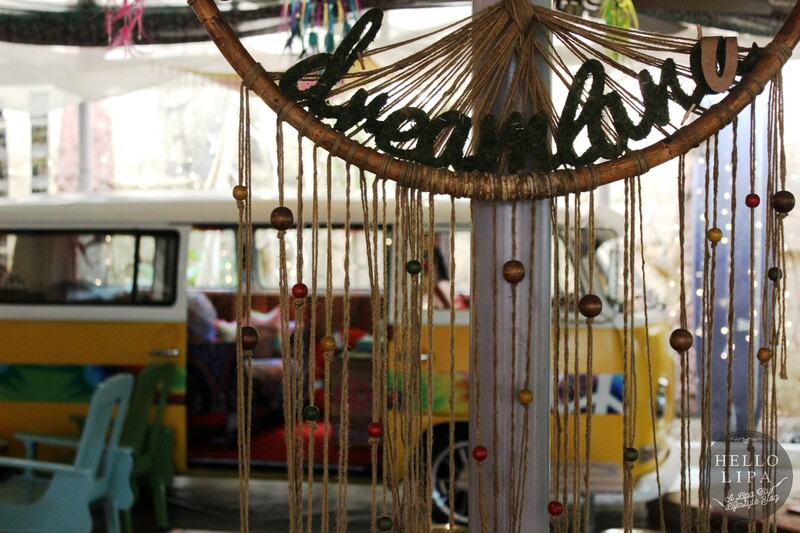 She told us that Le Manays traces its roots to San Pablo, fondly describing it as a “carinderia”. 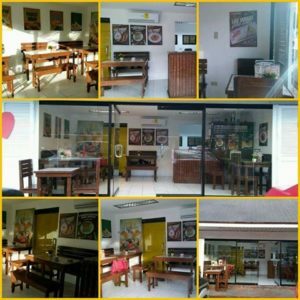 Well, judging from the fact that it has expanded since then, Le Manays sure has gone a long way since its humble “carinderia” beginnings. 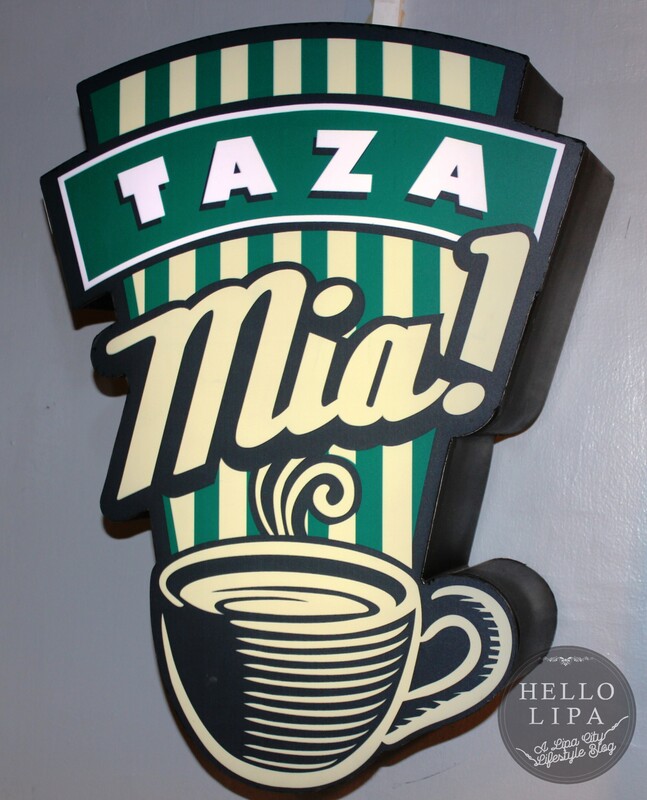 They expanded to open a Lipa City branch last year. 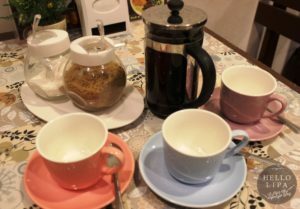 They are following the same formula – offer a unique take on home cooked meals in a cozy and homey ambiance. 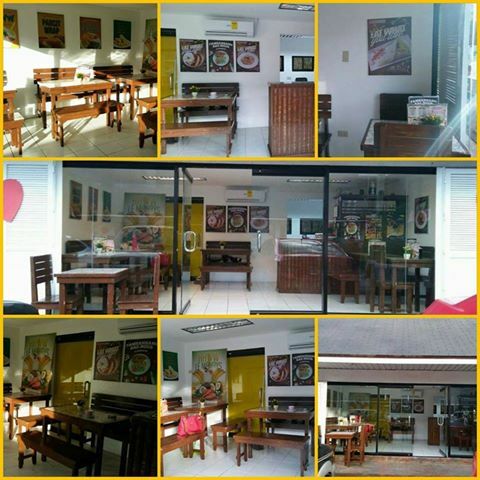 Le Manays at their new location. Note that they moved from inside Big Ben Complex to the back of Big Ben (The Courtyard). Photo provided by Le Manays. The place is very cozy. This is why you get this feeling that you’re just eating at home. With smiles all around from the staff to the satisfied guests, it’s easy to feel as if you’re in the comfort of your own home. 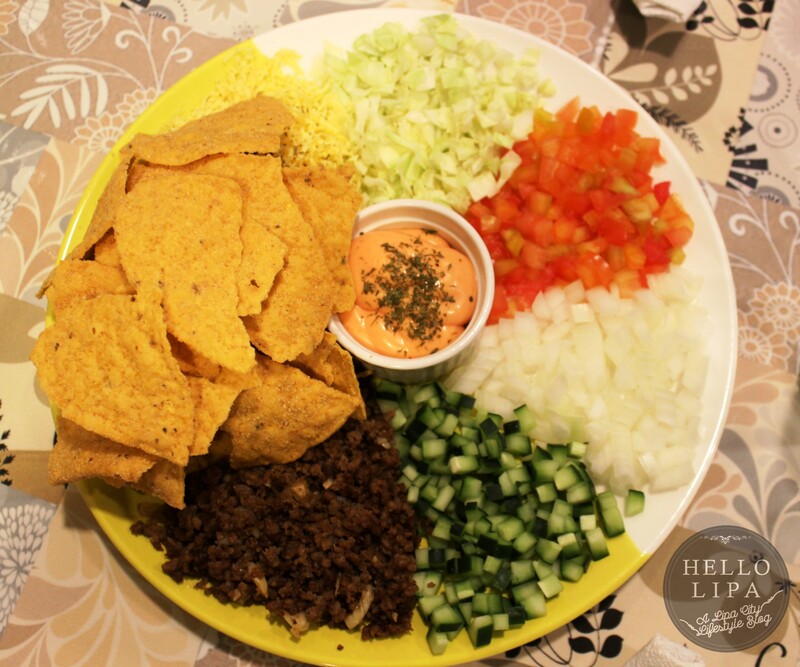 We started our meal with Kadjo’s Nacho Platter. This nacho platter is loaded. It’s hard to believe that they offer this for only Php 150. 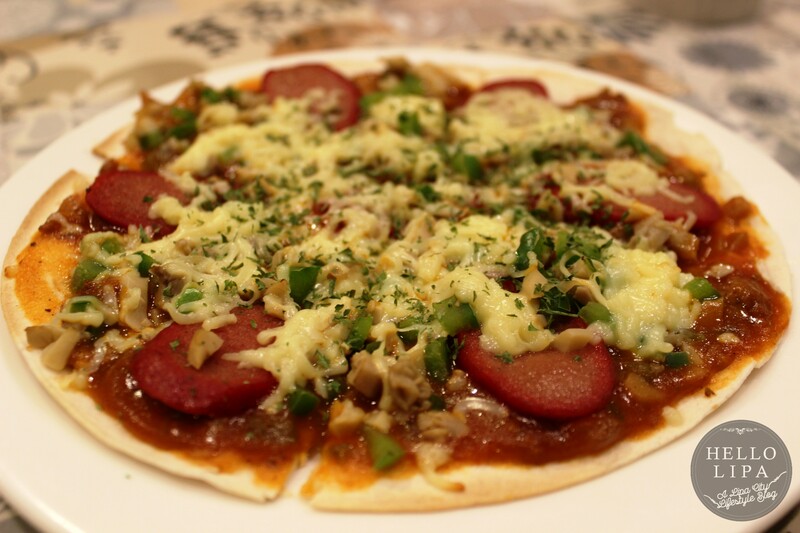 It has a good ratio of ground beef, cheese and vegetables. I like that the ingredients are served separately. This way, you can just skip the ingredients that you don’t like. We also got the chance to try 3 pizzadillas (Php 75 each). Just like the nacho platter, these pizzadillas are loaded, almost to the point that the pita that they used for the crust disintegrates because of the loaded toppings. 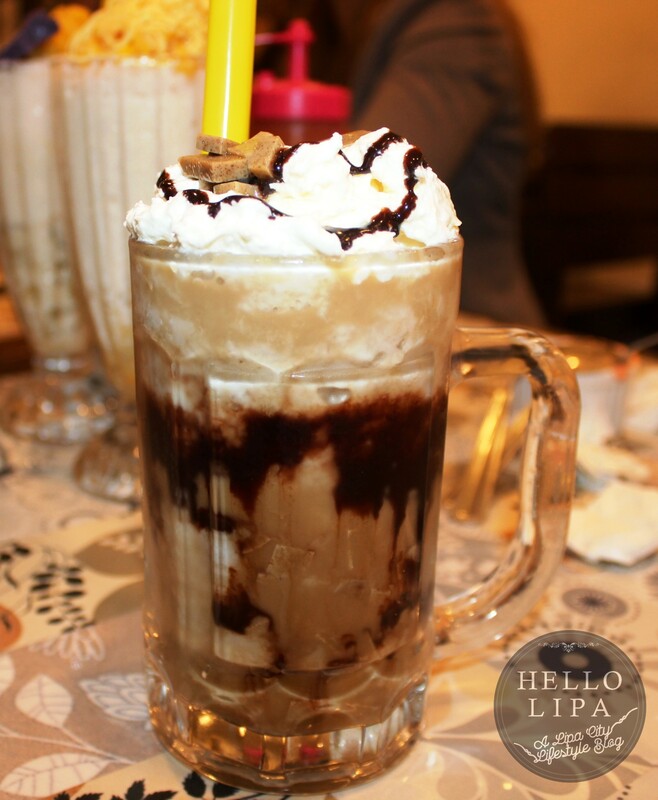 They also have what they call Kikoramba (Php 90). Basically, they stuffed pita bread with an interesting mix of ingredients. This pita wrap is loaded with chicken strips, veggies and nacho chips. This results into rich and filling bites, with nacho chips providing an interesting texture. We got the chance to try 3 pasta dishes. First up was the lasagna (Php 115). 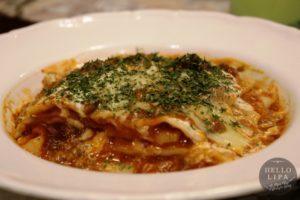 The lasagna was perfectly al dente. 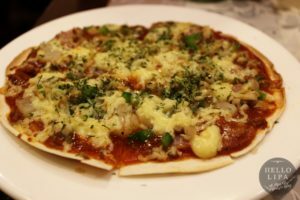 The zing of the tomato sauce complemented the cheesy goodness, with neither one overpowering the other. We also tried Palabhe (Php 115). It’s basically palabok but its darker than usual hue will tell you that it’s richer in taste. 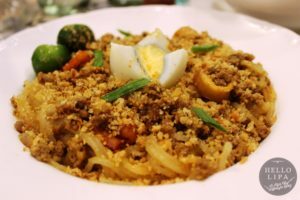 It’s not one of those palabok versions that are more sauce than noodles and toppings. Every savory bite is filling. They also served us Longanisa Konbonara (Php 115). 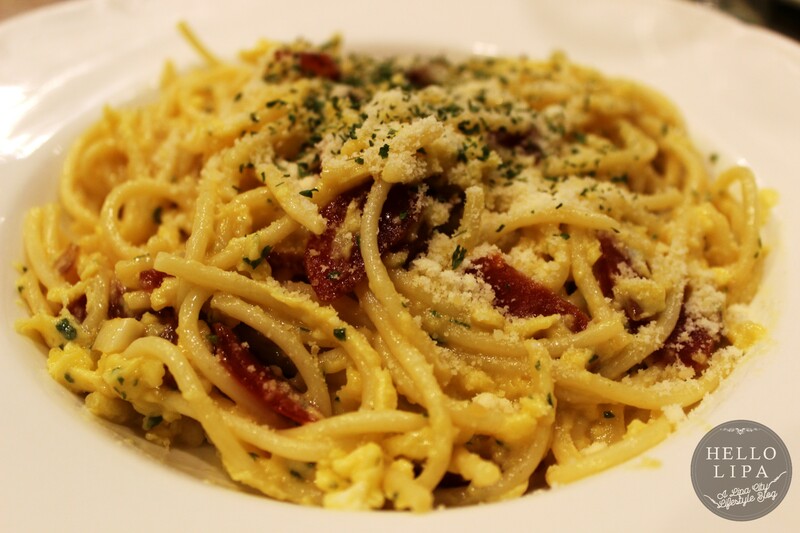 This carbonara has a Pinoy taste to it, mainly because of the longanisa. 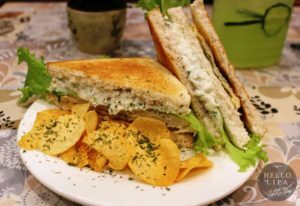 They have 3 different sandwiches and we tried the Ken’s Chicken Sandwich (Php 90). This is a big sandwich that should be good enough as a snack for 2 people. There are lots of chicken shreds in this one. They also have several rice meals. 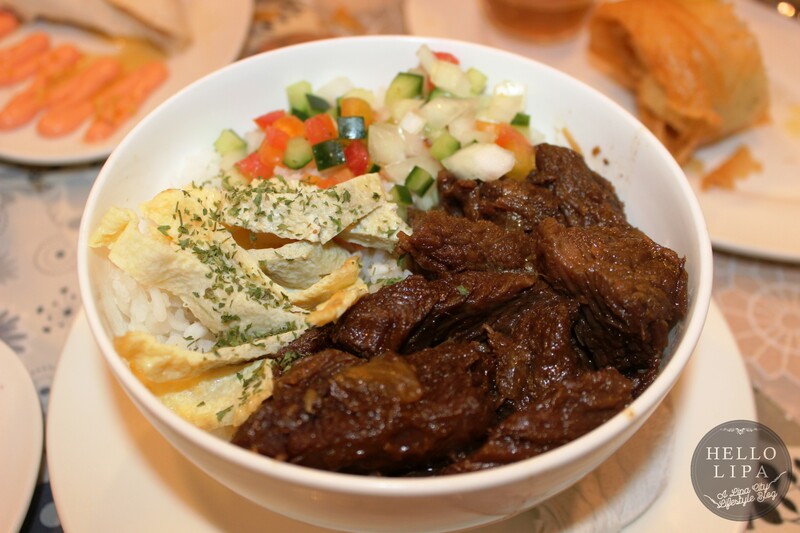 There’s the Beef Tapa Papa (Php 120). It uses beef that’s so tender and flavorful that it should be served on a chafing dish at a 5 star hotel buffet breakfast. We also tried their Chix-Fix or fried chicken. It’s crispy, but not the usual crispy chicken offered by fast food restaurants. One thing’s for sure – it’s juicy. 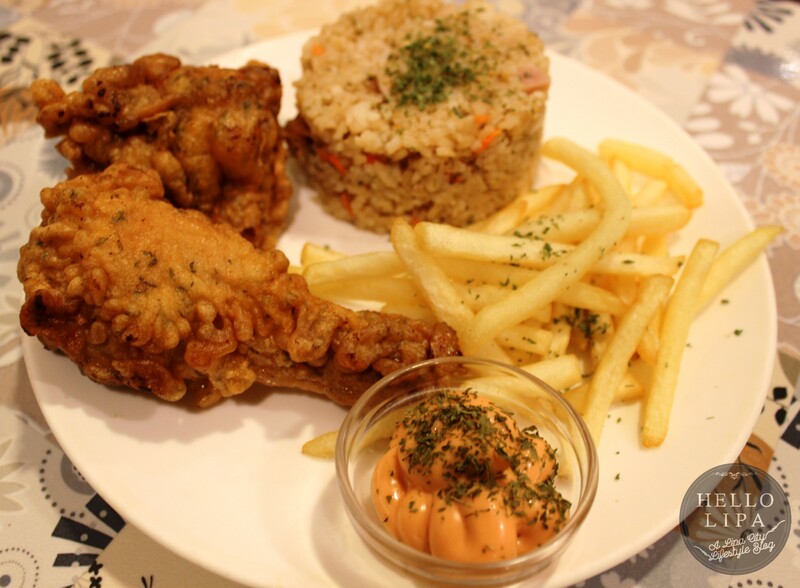 We got the Chix-Fix with rice and fries (Php 150). 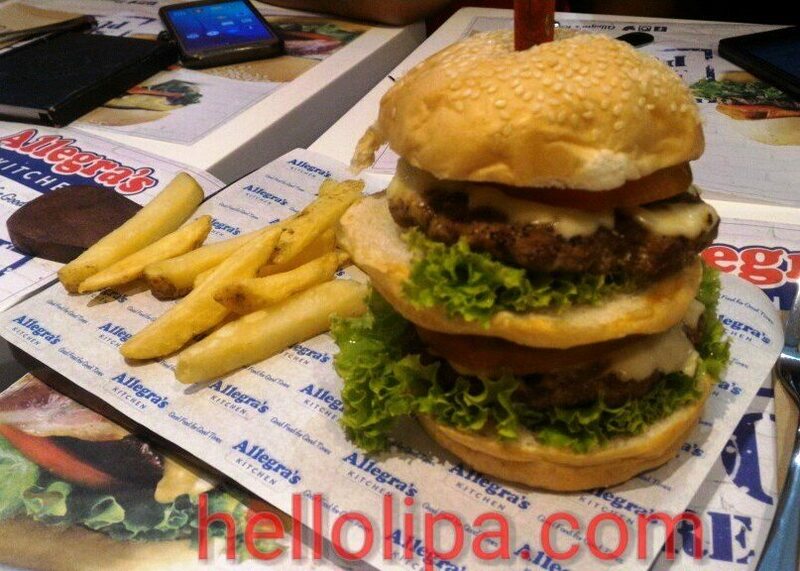 You can also get it with rice, fries or pasta. The best rice meal for me is the Pambansang Bae-Ngus (Php 130). I love bangus and I can eat it every day, especially if it’s served in this manner. 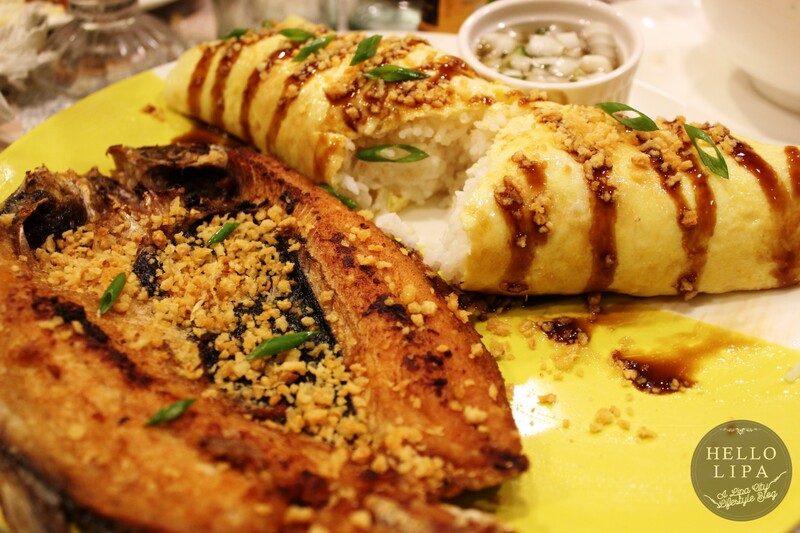 The deboned bangus is served with omelet rice. Even I was intimidated when I saw how big the serving is. I saw two people who ordered it for lunch for sharing and they walked out full and happy. Now on to the best that they served us – the pancit wrap (Php 50). 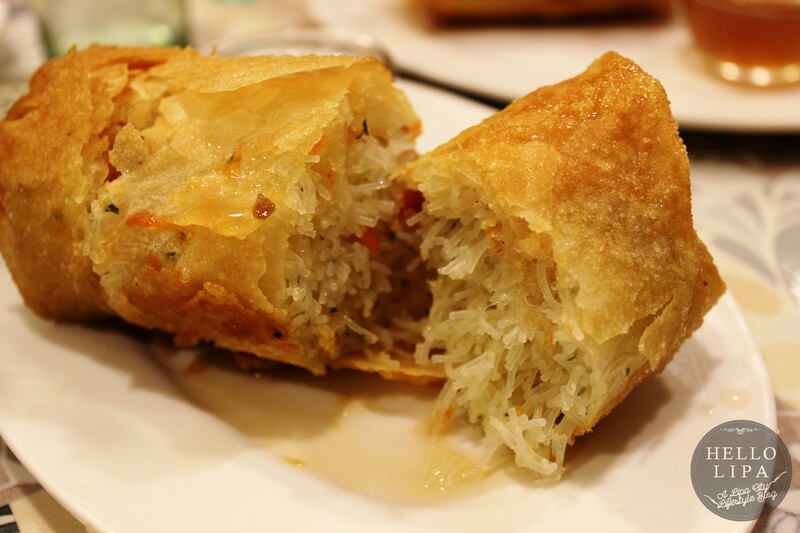 Basically, it’s pancit bihon wrapped and deep fried. 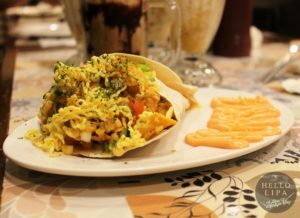 Served with vinegar – which is good enough on its own – the pancit wrap is heaven with every bite. It’s a steal at Php 50. It would be a shame not to end this meal with sweets. They served us 5 coolers (Php 79 each) – Sweet Korn While Walking, Banana Gulaman While Walking, Pacoffee Gels (coffee jelly served on ice), C.O.C’s (Clash of Caramel, Choco and Cream) and probably the best halo halo we’ve tasted – Halo Halo While Walking. The “While Walking” Coolers use flavored ice. This makes it better than coolers of other restaurants. I don’t care what you eat at Le Manays. 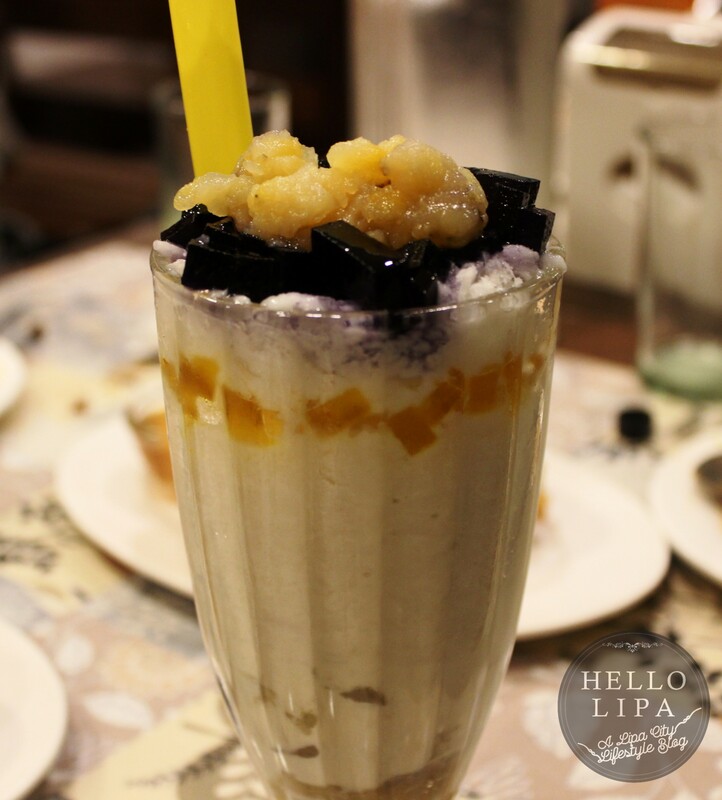 Please get the Halo Halo While Walking with your meal. I’ll be very disappointed if you don’t. 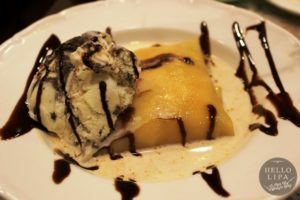 At this point, we’re ready to call it a day, but couldn’t say no when we saw their desserts. There’s the Mango Tango Crepe (Php 95). It is basically a crepe sandwich considering how thick it is because of the amount of mango in it. 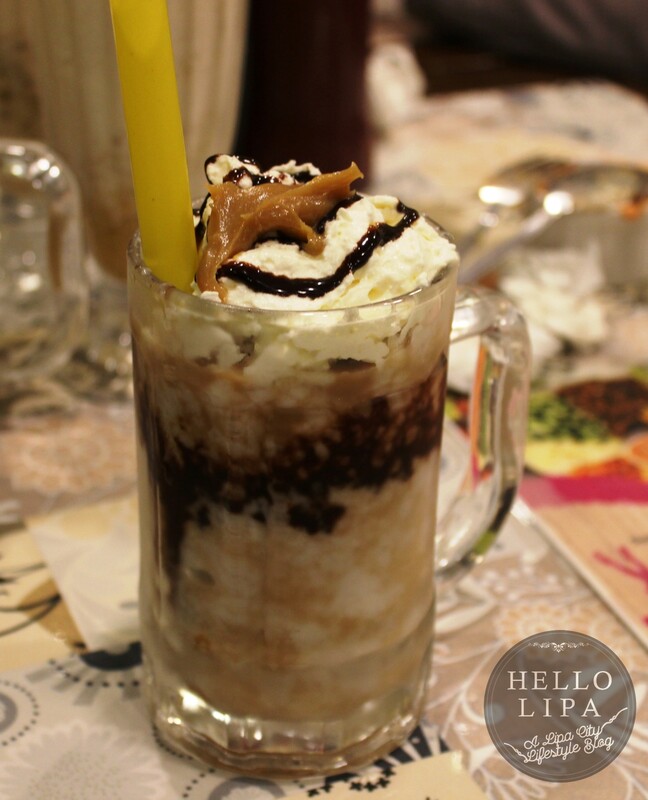 We also tried the Mommy Amor’s Leche Flan (Php 30). 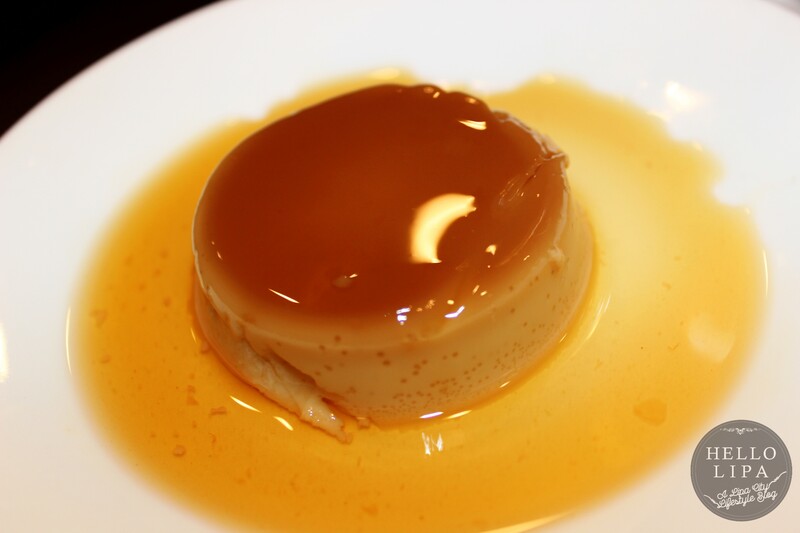 The leche flan was smooth and creamy. The best dessert for us was the Nay Malen’s Pudding with Ice Cream (Php 85). 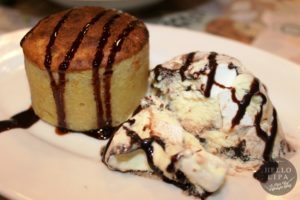 The bread pudding was warm and comforting and is perfect to eat with the ice cream. We were sleepy because of eating too much food so we ordered coffee. Their brewed coffee is very affordable at Php 60 per coffee press. It’s good enough for 3 to 4 people. UPDATE: They have new offerings! Watch this video! The Hello Lipa team with one of the owners, Grace Cerillo (back). The place is nice, the staff is well-trained, and the dishes are affordable and satisfying. 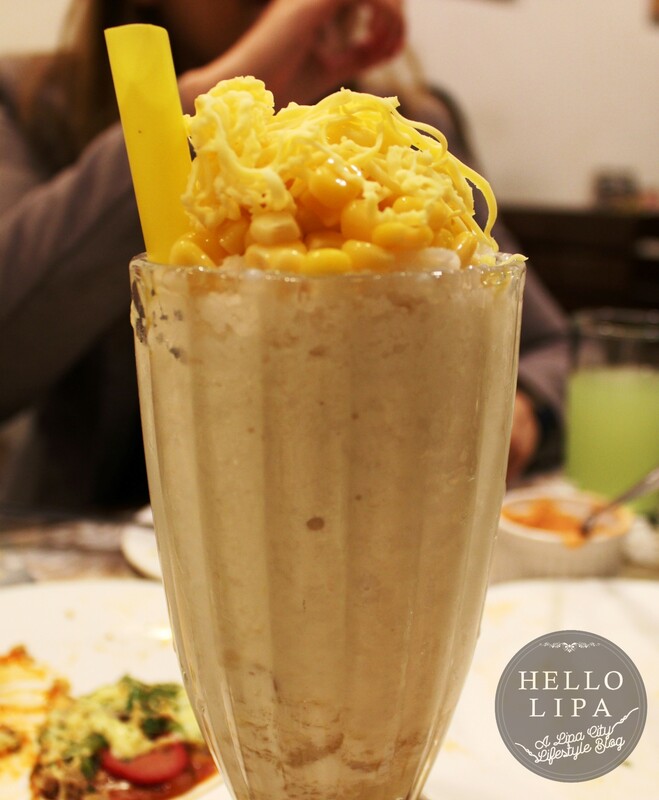 Imagine a two-hour lunch on a Sunday with family, with smiles and full tummies all around. That’s what you can experience at Le Manays. 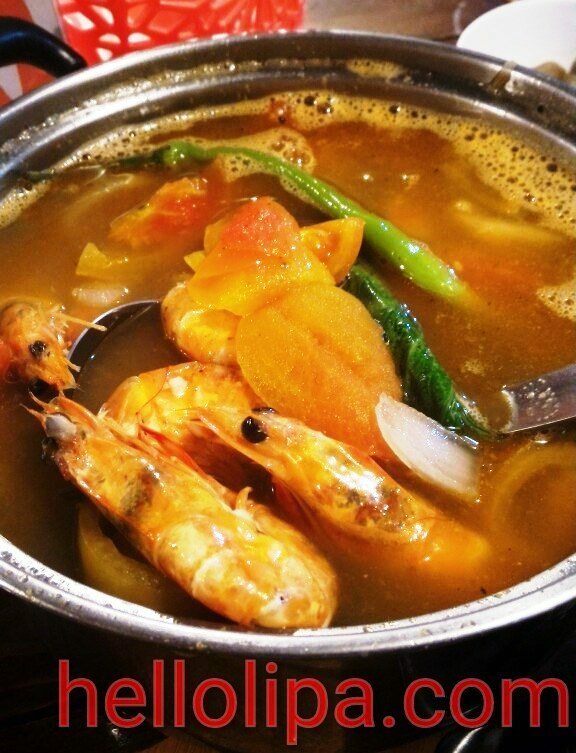 Dampa sa Lipa by Seafood in a Bucket by Chef Jonas is Now Open!